So what is Muddy Creatures and how does it work? The process is simple. Sign up and create a profile for your child, then sit back and relax whilst Anja sends you a box full of things she thinks you will love. You then have ten days to try them on for size, keep what you love and send back what you don’t. It’s just genius. And also very dangerous as everything in that box is just divine, you will want to keep it all! From shoes, socks and underwear, to dresses, t-shirts and swimwear, what you receive is nothing you will find on the high street, all of the highest quality, and also very reasonably priced. Some of the brands you will expect to find inside include Miniauture, Mini Rodini, Tiny Cottons, Joho, Soft Gallery, Poppy Rose, Mar Mar Copenhagen, Pop Up Shop. They are all equally as stylish and unique. 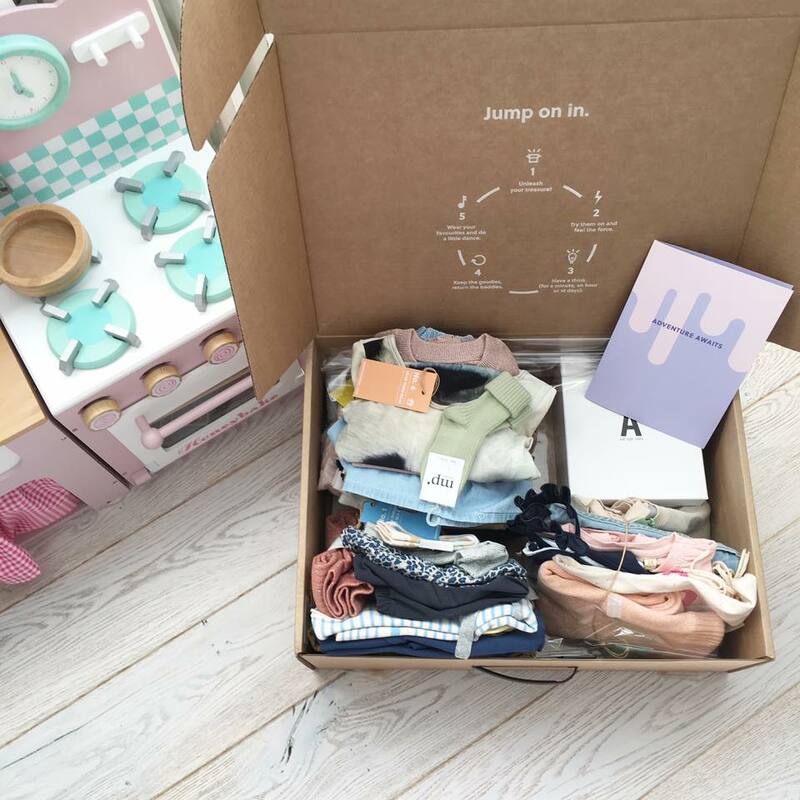 Within that box, quite literally, you will find all you need to create an entire mini-wardrobe. This is great news as it means you don’t ever have to go shopping for your child again. Muddy creatures currently only caters for ages newborn to four years. But Anja has assured me that this age will be increasing soon – which is great news as I cannot wait to get Annabella signed up too! It’s free postage both ways and you are only charged afterwards for what you keep. You just have to give a £1 deposit. So there really is nothing to loose. Find out more and sign up your little ones here. ← Eat Sleep Love. The nursery consultants.